Ahoy me hearties Sydney bound, Treasure Hunts have facilitated yet another engaging fun team building Treasure Hunt around the Rocks with Lion IT staff on board. 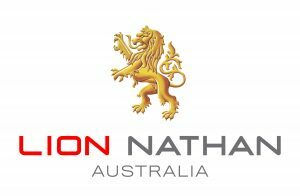 Lion Nathan are the fine producers of alcoholic beverages and beers hence we love team building with such awesome brewers. Lion Employees took on the corporate team bonding challenge with gusto and with a little bit of Pirating luck, they all succeeded! How did the LION Nathan IT Team Building Treasure Hunt Tale unfold? Suddenly, our Lionhearted Pirate Teams were ambushed, caught red handed, Hand-cuffed, Chain Ganged Lined Up and arrested. It wasn’t long before our Pirate Teams managed to find a clever pirate trick to escape their bonds. Continuing in their pursuit Hunting for the Rocks real Treasure Hunt Chest and Holy Grail. As the Lion Treasure hunting was nearing an end, our friendly Sydney Pirates had sailed their way closing in on the secret location. Some last minute pirate luck came in handy for a few teams which allowed them to locate a key stashed within the Rocks Pubs. Terrific celebration and fun event for all!